A large collection of Mists of Pandaria WoW Addons (5.4.8). Easily find the Addon you are looking for by Choosing a category, Searching by name or change the expansion using the drop down on the right! Atlas is an addon for World of Warcraft that includes detailed maps for every instance in the game. AI's display windows are built from "virtual bars", you assign categories to bars so that items in that category are displayed on the specific bars you want. Masque is an add-on for World of Warcraft that provides a skinning engine for button-based add-ons. OmniCC is an addon that adds text to items, spell and abilities that are on cooldown to indicate when they will be ready to use. DrDamage displays the calculated damage or healing of abilities with talents, gear and buffs included on your actionbar buttons. The purpose of this mod is to help us sell the kind of items that we get most frequently: Junk! XLoot is a group of addons which improve looting in WoW by replacing default frames. Basically this is about displaying the health of raid members in form of clearly arranged bars. A HandyNotes plugin to display the location of the chests for the "Treasure, Treasure Everywhere" achievement. EPGP Lootmaster provides a nice GUI for distributing loot and GP to the raid. TellMeWhen provides visual, auditory, and textual notifications about cooldowns, buffs, and pretty much every other element of combat. Postal offers enhanced mailbox support. Show the locations for Rare Elites. MSBT is designed to be an extremely lightweight, efficient, and highly configurable mod that makes it easier to see combat information. With this addon module installed, you will be able to see the Classic WoW maps. Create fake achievement links to be used in that messages to impress noobs, fake PGMs and make laugh your friends and the girls ! RaidAchievementFilter allows you to look through your raid, dungeon, and scenario achievements, filtered by instance. They are also sorted into typical boss order. This addon attempts to inspects your class, spec, weapons, and stats to construct a priority list of stats and caps. Routes allow you to draw lines on the worldmap linking nodes together into an efficient farming route from existing databases. Inserts media(fonts, bars, borders, etc) into LibSharedMedia's storage. Ackis Recipe List is an AddOn which will scan your trade skills and provide information on how to obtain recipes. MobInfo-2 is a World of Warcraft AddOn that provides you with useful additional information about Mobs (ie. opponents/monsters). WeakAuras is a powerful and flexible framework that allows you to display highly customizable graphics on your screen to indicate buffs, debuffs, and a whole host of similar types of information. Make your minimap ubersexah! SexyMap is a minimap mod. QuestHelperLite is an unofficial branch of QuestHelper aimed at providing the core subset of features in a slimmed down lighter version. Cursor adds detailed, customizable cursor trails to your UI. Reports in chat (or with sound) when group or raid achievement that you can't track is failed or when all criteria of the achievement are fullfiled and you need to kill boss. Makes all your Scrap to glow in your Bagnon panels. Logically, it will require both Bagnon and Scrap to work. Mizus RaidTracker is an easy to use addon for tracking raids, loot and attendance. Assassin is an addon for rogues that simplifies gameplay and maximizes DPS by doing all the decision making for you. Call of Elements is a totem addon for Shamans. The goal of this addon is to allow easy optimizing of the mage talent Combustion. When should I refresh my DoTs. With all the proccs I never quite knew when the right time was to refresh a DoT, namely SW:P and VT. That's where this addon comes into play. A simple dot timer for ShadowPriests. Altoholic is an Ace 3 addon written for people who dedicate most of their time to leveling alts, and who want to have as much information as possible in one addon. Genie is a full bag, bank and guildbank sorting addon. Show where the pet tamers are, for aid in dailies after you've beat them all. BigWigs is a boss encounter add-on. TinyTip changes the look of your GameTooltip. PhoenixStyle is a WoW addon that tracks many fails, and other useful and interesting information on boss fights and has some interesting thing for raid leaders. A numerical display of current combo points. This module flashes suggested spells for all three Rogue specs. DoTimer is a comprehensive suite for managing various things that need timing. This addon is designed specially for the Shaman class. It contains a lot of useful functions no matter which spec you are. Overall, xCT+ is a replacement for Blizzard’s scrolling combat text. PetTracker is a tool designed to help all kinds of trainers in their pet tracking and battling duties. With this addon module installed, you will be able to see the Burning Crusade maps. With this addon module installed, you will be able to see the Cataclysm maps. This is an Atlas plug-in that display dungeons and the locations' maps. With this plugin you can quickly look up the annual world events' quest target location. With this addon module installed, you will be able to see the Wrath of the Lich King maps. This addon extends the functionality of the addon Atlas, to browse the major city maps with all important non-playing characters (NPCs). The Lorewalkers want you to find lore objects. This addon can tell you where they are. TomTom is your personal navigation assistant in World of Warcraft. The MonkeyBuddy mod allows you to easily configure your MonkeyQuest with a nice config window instead of nasty slash commands. A fishing addon that keeps track of the fish you catch and helps manage your fishing gear. Ever wanted to know when a certain ability will come off cooldown, but you're too caught up in a fight to notice? Doom_CooldownPulse is designed to fix that problem! The compact grid of units lets you select a group member quickly, while keeping a good overview of the whole group. A basic mod that tracks enemy interrupt abilities on a neat little bar. AtlasQuest (or AQ) is a Plugin for the famous Addon Atlas. Total RP 2 is based on exchanging information with other players via an in-game channel, automatically joined by the player when he logs in. This addon will show the priority of the item based on the stats that item has. PlayerScore is the next evolution of GearScore® and aims at providing a utility infinitely more useful then just the score of a player's equipment. This is a full UI in a single addon, which mimics Diablo 3 both in visual styles and functionality. OPie is a radial action-binding addon for World of Warcraft. Button Forge is an Action Bar addon that allows you to create completely new Action Bars (as many as you want). kgPanels is the successor to eePanels2. Its designed for lightweight use and quick load times. nUI is a user interface replacement for World of Warcraft. A simple, light-weight addon that plays various sound effects on killing blows and specific Battleground events. Cumbuctor is a bag replacement addon designed to help the player find items as quickly and as easily as possible. Automatically starts a loot session when the Master Looter starts looting something and shows the interface for councilmembers and lootframe for other raiders. Displays messages and bars for common raid cooldowns. A LibDataBroker data source for Deadly Boss Mods. A simple addon that shows which tabards you have or have not equipped and suggests additional tabards to help with meeting the various tabard achievements. DBM-SpellTimers is a small but powerful addon that uses DBM timers to show spell cooldowns from raid members. GTFO provides an audible alert when you're standing in something you're not supposed to be standing in. HeadCount is a configurable World of Warcraft add-on that automatically tracks raid attendance, loot, and boss kills. A collection of BigWigs modules for bosses found in 5-man dungeons and scenarios. RBM explains the boss mechanics of the boss in front of you. This is just a simple Data Broker plugin that supports basic functionality, like open options menu and enable/disable SmartBuff. The addon will notify you in the middle of your screen with an icon, name of the spell that has procced, the time left on the proc and will make a subtle sound. SmartBuff is a buff addon, to cast buffs ease and quickly. ChatMOD is a universal Chat Enhancement. Interface options - Shows All Allied Guilds, Current Relay Channel and Current connections. Prat-3.0 is a chat enhancement addon for world of warcraft. RSA is an addon that aims to help players with the announcement of certain spells, as well as reminding you of important missing buffs. TriviaBot allows the user to host quiz games for other players. TriviaBot with the Timeless Question set. TriviaBot_QuestionMaker is meant to provide an easier way for TriviaBot quiz authors to create question lists in-game. 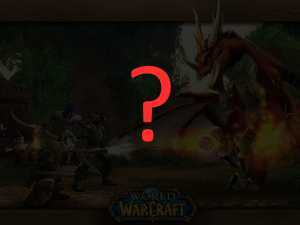 Load on Demand Quiz for TriviaBot with World of Warcraft Questions. This quiz has questions exclusively about Mists of Pandaria. SpartanUI was originally designed to free your screen by moving a majority of the interface elements to the bottom. This addon helps you FIND BETTER GEAR (Armor, Weapons, Trinkets etc) on the auction house. DKCrutch is a swiss army knife for DKs. An addon that shows a enhancement shaman what spell or ability they should use to maximize dps. Only supports shamans of level 85 and above. Profiles for multiple configuration for different environments (PvE, PvP, etc.). Multiple features relating to poison. Moves the class resources to the top of the PlayerFrame, with a vertical inversion of the textures so they fit perfectly. Adds a bunch of Blizzard sounds into SharedMedia's library. Any addon that uses SharedMedia gains access to the sounds in this addon. Buffet is a simple water/food managing addon inspired by BaudConsumables and Munchies. ShockAndAwe displays timer bars for Shocks, Stormstrike, Windfury (internal CD), Maelstrom Weapon, Lava Lash, Feral Spirits, and your shield. This addon creates a new button in your UI to help you choose your target for Symbiosis and provides a timer for the buff, so you know by glance when to recast it. This mod allows warriors to see a simple pop-up letting them know the most important proc or ability currently available. Critline is an addon that will remember your highest hits and crits (including heals and pet attacks), and display them in a fairly simple tooltip. Gnosis is a highly configurable castbar and single timer addon. A fairly simple but very configurable mod that adds damage, heals, and events (dodge, parry, windfury, etc...) as scrolling text above you character model. A mod that adds your damage to SCT. This is a plugin for Skada that adds information useful for evaluating a tank's performance. One-key mounting solution, useful whether you have just one mount or several. Rarity tracks how many times you've tried to obtain various rare items like mounts, battle pets, and toys. Guild Greet is an addon that keeps track of main and alt characters in your guild and reminds you to greet them and congratulate them on level up. You can also store an alias for your guildies. Quick DKP V2 is an addon for World of Warcraft that aims to handle every aspect of the DKP management of a guild. SuperScan is a function which will methodically go through all logged in players on your server, determine if they belong to a guild and if not they will be put in a waiting list. Carbonite Maps is a google style map replacement for world of Warcraft. Scrap sells all your junk when you visit a merchant. Shows ZoneInfo on the World Map in a perfectly cromulent fashion. Database of locations that city guards direct you to for HandyNotes. Jamba is an addon for multi-boxers. MoveAnything enables you to move, scale, hide and adjust transparency of just about any screen element in WoW, offering tools to help you customize your UI. Reflux is a small lightweight profile manager. Creates a DataBroker launcher for Scrap. This is the long awaited expansion to EngBags, which works with 2.0. Will destroy junk collected from skinnable corpses while saving the good material. Juked has ~65 cooldowns being tracked on the main bar and an optional priority bar where higher priority spells are displayed(interrupts by default). Natur Enemy Castbar is based on a very old excellent PvP/PvE addon originally created by Naturfreund and later taken over by me. It simply detects any stealth or cloaking spells and notifies you when someone uses them near you. The MonkeyQuest AddOn for World of WarCraft displays quests and their objectives in a nice drag able frame in. Wholly is a complete visualization of the Grail quest database addon as it relates to the player. A plugin for MogIt that shows item sets. A plugin for MogIt that shows a full "wardrobe" of item sets from sites like Wowhead or WoW Roleplay Gear. What this mod does is play a random C'thun and Yogg Saron whispers from the game files any time you loot a keystone. Dropdown menu with all available activities for easier and faster filtering. All activities are grouped by type and expansion (when applicable). TipTac is a tooltip enchancement addon, it allows you to configure various aspects of the tooltip, such as moving where it's shown, the font, the scale of tips, plus a lot more. Use /ufp or /unitframesplus to open the controlpanel. Shows your movement speed in percent (relative to your normal running speed) on your Titan Panel. What Omen does is provide accurate values of your group's relative threat level on individual enemies, so that you can see when you're in danger of pulling aggro. oRA3 is the 3rd major iteration of oRA. Titan Panel plug in that displays you current Achievement Points and will show you how many you have added today. This is a addon for Titan Panel witch displays your Guild members on Titan Panel. Titan Panel plug in that displays you current Honor Points and the amount you added in your last group. Titan Panel plug in that displays you current Justice Points and the amount you added in your last group. Simple mod, adds 'New Mail' to your bar if you have mail. Sends in say/yell chat important phrases in the raid, such as "Corrupting Crash on me! ", if your bossmod hasn't this option. This is addon announces in chat when you interrupt a spell. For professions that have a window, clicking on the profession opens its' window. This is to complete my full UI in lieu of Cataclysm. Boss mods for all raid bosses. A simple combat log that displays events similar to how SCT/D would in a log, using icons to display spells/skills. This addon filters out the debuffs and buffs that you don't care about, and places them anywhere on screen. This is a cleaning mod. Its job it to help a class that can remove debuffs, do it with ease. Athariel's Combo Points is a very lightweight addon. It supports rogues & druids for their combo points, as well as paladins and monks with their respective equivalents. BadKitty is a debuff tracker for Feral Druids. AddEmote lets you easily create new /command emotes for all your characters. Can play new sounds for various things. This module flashes suggested spells for an Atonement healer who wants to also deal as much damage as possible. Chatter is a comprehensive, lightweight, mega-configurable chat enhancement addon. ToolTipTabs allows you to open many different chat links at any one time. This module flashes suggested spells for all four Druid specs. BadPet watches the combat log during instances and raids and detects hunter and warlock pets that are taunting (growl, suffering, seethe). This module flashes suggested spells for all three DK specs. This module flashes suggested spells for all three Hunter specs. This module flashes suggested spells for all three mage specs. This module flashes suggested spells for all three Monk specs. This module flashes suggested spells for all three Paladin specs. This module flashes suggested spells for all three Priest specs. This module flashes suggested spells for all three Shamans specs. This module flashes suggested spells for all three warlock specs. This module flashes suggested spells for all three warrior specs. Boomkinator is a an addon intended to help learning spell rotations for several dps classes. Plays Scorpion's "Come Here" or "Get Over Here" sounds when you use Death Grip or Leap of Faith. Comergy is an addon for monitoring players energy, combo points, focus, rage or runic power. Buffs / Debuffs tracker, energy monitor, combo points, and more... for druid feral/guardian. Addon that tries to optimize DPS output for level 100 elemental and enhancement shamans. Ellipsis is an addon that features multi-target aura tracking for spells that you (and your pet) cast on others. Add button bars for quick access to totem spells for the Shaman and to trap spells for the Hunter. Anyone in the raid who is running HealAssign is free to assign or unassign himself/herself. Simple Holy Power and Combat Points monitor that shows you how many charges or points you have. This addon puts a graphic above your character (similar to Power Auras or the built in Spell Alerts) when you have Holy Power. This add-on provides an interactive and easy to use interface that allows you set your own blessings (Righteous Fury, Aura, Seal and Blessing) and automatically check for missing buffs. A mod that tracks who Prayer of Mending is jumping to and how many charges you have left. Displaying it in a small movable window frame. This addon helps priests manage their buffs. This Addon adds a dragable Runebar and a Runic Power Bar. ShieldsUp monitors your Earth Shield, Water Shield, and Lightning Shield. SliceAdmiral can be best described as an info-center for maximizing Rogue damage. This simple addon pops up a small frame with a list of stealable buffs on your current target, it will only show up when the target is an enemy and has buffs you can steal. Totem buttons and totem flyout menus as well as totem set functionality on the ankh timer removed. Advanced Death Logs record the deaths, battle ress and heuristic calculate endurance of all raid members (stay alive for more time). Reminds you of missing warlock buffs and procs, and shows your cooldowns. This is a plugin for Details! addon, you can't use it standalone. Time line uses Details! technology to record some abilities usage like cooldowns and show to you in a fashion way. Displays Events from the combatlog (damage, healing, ...) as moving text and numbers across the Screen. QuickMark allows you to set the raid target icon of units quickly rather than having to go through the right-click menu or create keybindings. A Skada plugin mode to display friendly fire, ie damage done by players to other friendly players via fight mechanics. A Skada plugin mode for tanks to benchmark their damage reduction performance via avoidance and mitigation. SkadaScroll is a plug-in for Skada Damage Meter that provides additional options for scrolling the bar displays. It requires Skada to operate. Looking for an addon to measure damage and healing without adversely affecting your gameplay experience? TinyDPS should suit your needs. GupPet is an add-on that gives an extension for mounting and calling critters. Adds Carbonite support to PetTracker. Its purpose is to scan and store data related to Achievements for all your characters, and act as a data abstraction layer for client addons, which no longer have to scan or store this information. Its purpose is to scan and store data related to Calendar, Raid ids, Friend List (and later to-do-lists, personal notes, and maybe more) for all your characters. Group Calendar is completely re-built around the WoW calendar database. This allows it to work with the built-in calendar, including the armory web-based calendar. DataStore is the main component of a series of addons that serve as data repositories in game. Their respective purpose is to offer scanning and storing services to other addons. Its purpose is to scan and store data related to Auctions & Bids for all your characters. Its purpose is to scan and store data related to basic information (level, race, etc..) for all your characters. Its purpose is to scan and store data related to Bags, Bank and Guild Banks for all your characters. Its purpose is to scan and store data related to Tradeskills & Recipes for all your characters. Its purpose is to scan and store data related to Currencies for all your characters. Its purpose is to scan and store data related to Equipment for all your characters. Its purpose is to scan and store data related to Mails for all your characters. Its purpose is to scan and store data related to Companions & Mounts for all your characters. Its purpose is to scan and store data related to quests for all your characters. Its purpose is to scan and store data related to Reputations for all your characters. Its purpose is to scan and store data related to spells for all your characters. Its purpose is to scan and store data related to statistics (base/melee/etc..) for all your characters. Its purpose is to scan and store data related to Talent trees & Glyphs for all your characters. Easily mail friends, guild members, alts and others. Mailing autosends items based on rules you create to any character you want. This can be very helpful for people who make lots of items to be sold through one or more bankers. This addon displays locations of unvisited candy buckets on the worldmap and minimap. This addon displays locations of unvisited Elders on the worldmap and minimap. This addon displays locations of unvisited bonfires on the worldmap and minimap. Mapster is a very simple world map enhacement addon, which was designed to work in conjunction with all other map addons out there. When you get a "rare alive" message a sound message will inform you. ButtonBin is a display addon for LibDataBroker objects. Bazooka is a Data Broker Display similar in functionality and looks to FuBar. This very simple addon exposes options through Blizzard's keybindings interface and the AddOn options window. Grim Reaper gives you a very quick and easy access to the relevant combat log of any raid member with just a flick of the mouse or the press of a key. The only mod manager you will ever need. Click 'load profile', and TMA will load the checked, and only the checked, addons. Crafting automates the process of item creation. This module handles milling and prospecting. Battleground timers and other PvP features. Removes the "Leave Queue" button for arenas and battlegrounds. Grail is a library of quest information designed to provide that quest information to other addons to make their decision processing easier. This addon allows you to transmogrify to items from your void storage or bank without first withdrawing them. This addon helps the user write conditional macros using only the mouse. They replace the default Player, Pet, Target, Target of Target, Party, and Party Pet frames and add dedicated frames for many other units. SimpleUnitFrames is an extension to the default WoW Unit Frames. Provides a Plug-in for the Titan Bar add-on to display profession skill level as both current level and max level. Provide a Plug-in for the Titan Bar add-on to display profession skill level as both current level and max level. Adds a button to Titan that shows WorldDefense attack info. This plugin for TitanPanel will help you to earn achievements: [It Belongs in a Museum!] & [Diggerest] and displays useful information about Archaeology. Displays your current fishing level, along with the zone level, and your chance to catch a fish. This simple WoW addon track all useful tradeitems and materials in your bag and show result in Titan Bar. Titan Item Count is a Titan Panel plugin that displays the current quantity of any specified item in your bags. This is a addon for Titan Panel witch displays your friends list on Titan Panel, This is based off TitanFriends From Battlesnake. Titan Points is a Titan Panel plugin that allows a customizable display of in-game currencies. Titan Social is a Titan Panel plugin that combines all of your social interactions into one convenient tooltip! TitanRestPlus keeps track of the RestXP amounts and status for all of your characters.